Most business strategies focus on how to beat the competition. It seems obvious that the success of any business relies on its ability to outperform its rivals. 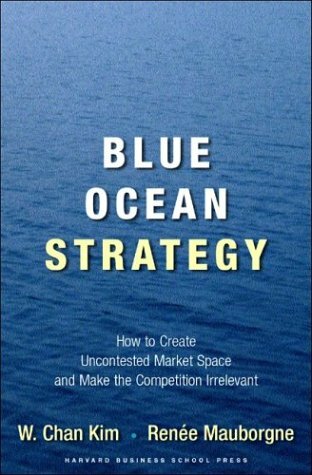 However, Renée Mauborgne and W. Chan Kim present another option in their widely-acclaimed business book "Blue Ocean Strategy". 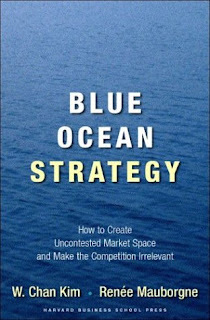 The book argues that you can actually make competition irrelevant by creating uncontested market space, or "blue oceans". Although finding these opportunities is certainly easier said than done, the book offers a comprehensive outline of the practices other companies have followed to create their own blue oceans. By reallocating resources and refocusing your offering, you can find uncontested market space within your industry (although you will essentially be creating an entirely new industry in the process). It is critical to pursue both value and innovation in order for this strategy to succeed. This means you need to keep costs low by reducing and eliminating factors in order to make it feasible to deliver the innovative factors that effectively differentiate the new offering. You can't create and raise factors without eliminating and reducing other factors (or at least you can't do it cost effectively enough to succeed in the long-term). It is essential that you ignore long held beliefs and industry norms in order to move into new market space. If you try to compete with your rivals on the traditional terms, you will remain in a red ocean indefinitely. What blue ocean opportunities exist in (or outside) your industry?